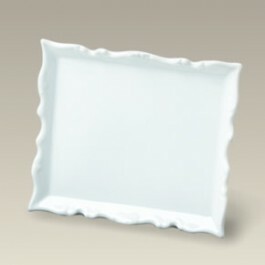 This one piece all porcelain standing plaque is 5" x 4 1/4" and has an attractive scrolled edge. Use it as a greeting card, sign, menu stand, or as a self framing canvas for your decoration. Self standing and made in Japan. This item is a SELECTED SECOND. It contains slight imperfections. All sales final.